Founded by a band of outlaws from Archenland, the Calormene Empire grew to encompass most of the land south of Narnia and Archenland, making it the largest power in the Narnian world. 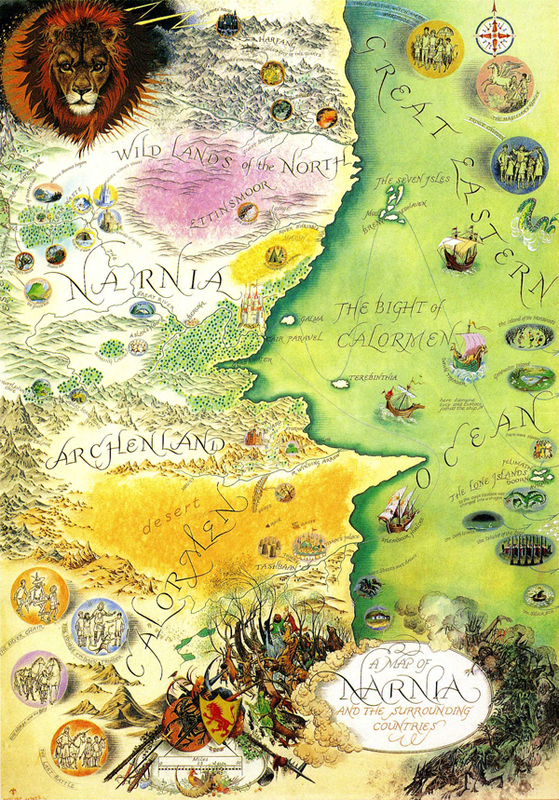 Under the leadership of their ruler, the Tisroc (may-he-live-forever), Calormen waged wars against Narnia and Archenland at various times, along with battling rebels in its Western provinces. The Calormene army was made up of two types of soldier: infantry and cavalry. I will be covering the organization of the infantry in this post. The basic Calormene infantry organization was a company, which mustered 30 men. Each company was subdivided into two sections of 14 men each under a junior officer, making 15 fighting men in each section. In the Battle of Stable Hill, Rishda Tarkaan sends forward one section against Tirian while keeping his second section in reserve. This plan fails, as the first section is thrashed by Tirian’s Narnians and forced to retreat to the protection of the second section. At a critical point in the battle, another company of 30 men arrives to Rishda’s assistance. While the Calormene infantry doubtless has other unit sizes, the only other one we know is the division of 1,000 men. Prince Rabadash refers to this size as being the only force required to conquer Narnia in six weeks. From the way in which Rabadash talks, doubtless senior Calormene commanders are used to commanding forces much larger than this. Each Calormene soldier is generally equipped with a scimitar, small round shield, and spear. In battle, a Calormene typically relies on his spear, using his sword as back-up. However, many Calormene infantrymen are skilled with fighting with the sword only. Rishda Tarkaan’s force was made up of these men. Officers carry only a sword and shield. All ranks wear mail and helmets. The Calormene army also musters some archers, but these appear to serve a function more like mounted infantry. They ride to battle, then dismount to use their bows. The Calormenes do not use their archers as skirmishers who ride, fire at the enemy, and then retreat to do it again. Calormene cavalry serves in units of 50 men and carry spears or battle-axes. Swords and round shields are a necessity, whether the trooper wields a spear or battle-axe. The Calormene cavalry also includes chariots, but whether they are carriers for infantry or mobile platforms for archers is unknown. These are never used in battle against Narnia or Archenland, because of the difficulty of crossing the great desert and after that, the mountains of Archenland. The Tisroc (may-he-live-forever) also possesses a navy, made up of swift galleys and great ships. Neither of these are based at the capital, Tashbaan, much to the annoyance of Prince Rabadash. The Calormenes likely possess royal dockyards and harbors in which their fleet is based. Their fleet contains at least twenty great (as distinguished from small) ships of war, which are used to capture Cair Paravel in The Last Battle. Many of these Calormene soldiers (in fact, everything but the chariots and archers) have been drawn by Pauline Baynes in her delightful Narnian illustrations.